So I have been knitting. 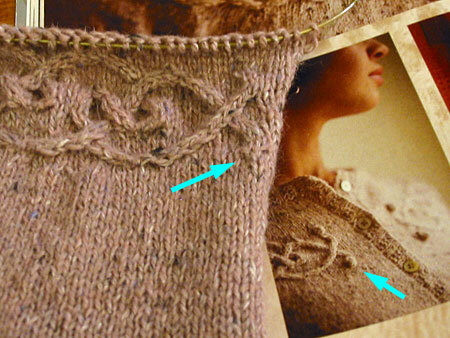 If by “knitting” you mean knitting and re-knitting the same section of sweater over and over again. 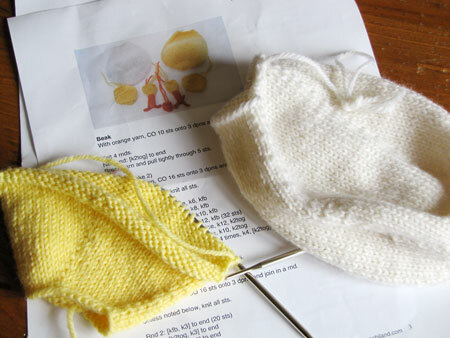 I am now officially a working stiff (of the hellish-commuting/lots-of-overtime variety), which means on a good day I’ll get to sneak maybe 20 minutes of knitting before I pass out on the couch. 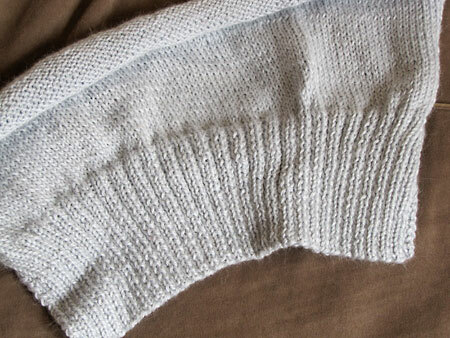 Anything more complicated than stockinette is now completely beyond me. So I finished the Cobijita Floresita blanket. 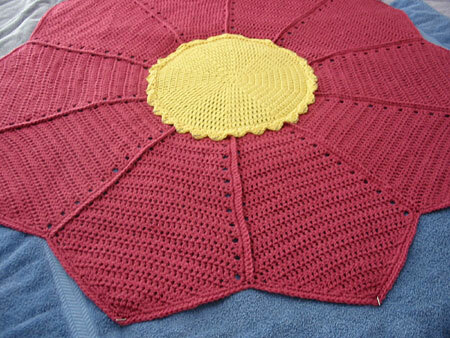 After knitting 13 petals for a 10-petal flower. I discovered after the seventh petal that I’d mis-counted the rows on three of them. Riiiip, and re-crochet. But now it’s done. This is how it looks blocking.